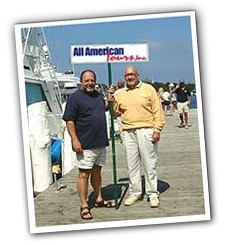 Thank you for considering All American Tours, Inc.
We know you’re concerned about customer satisfaction and we here at All American Tours are too. We have been successfully operating as tourism professionals offering distinctive all inclusive package tours and receptive services since 1970. All American Tours strives to exceed industry standards, and right now, you are viewing, the tool that transfers our efforts into your personal tangible benefit. With more than 100 destinations, offering unique itineraries in the United States, Canada, and Europe, you can be assured of an exciting and professionally packaged travel experience. Our travel professionals have prepared the tours offered in this website to appeal to a wide variety of interests from sightseeing and events, to theatre, history and adventure. A variety of tours are available, including our “Guaranteed departures”, travelling to every continent and including many cruise lines around the world. 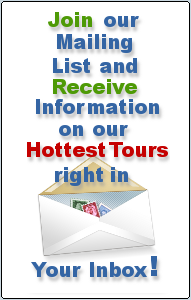 If you have an interest in a destination not offered in this catalog, please contact us, we will plan your tour to exceed your expectations, we guarantee! Our reservation and booking information can be found here. I am speaking for the complete staff, when I say we are looking forward to assisting you in preparing your next tour.